More colors at 60Hz, wireless streaming to Galaxy smartphones and tablets, and support for Samsung's own 360-degree video highlight the company's new flagship disc player. The Samsung UBD-M9500 Ultra HD Blu-ray player (about $300 at Amazon)—the company’s new flagship—looks very much like its 2016 predecessor, the UBD-K8500 (still available at Amazon for about $100 less). It’s sleek and all black, with a curved cinematic countenance and touch controls. The first indication of the UBD-M9500’s superiority over the older model comes when you turn it on and its camouflaged OLED display lights up. The sculpted look of the UBD-M9500 is concave in the way many theatrical widescreens, or more pertinently, Samsung’s own curved TVs are. It’s attractive on its own, or sitting under one of those curved TVs. If you’re after an audiophile look, or want to stack other components above or beneath it, it’s less so. 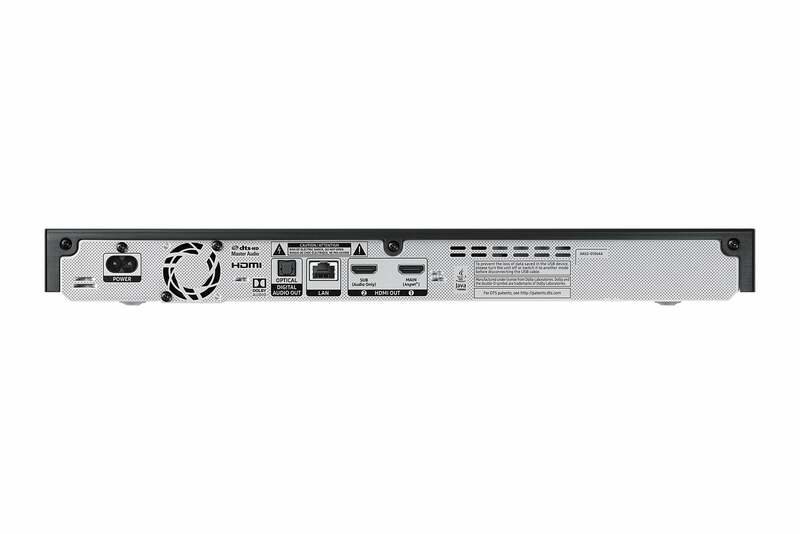 The UBD-9500’s port array includes two HDMI 2.0a outputs in back, one of which is audio only; an optical digital audio output; and an ethernet jack. Bluetooth headsets are supported, but there are no analog outputs at all—neither audio nor video. There’s a single USB port in front for playing audio, video, or image files from hard drives or USB memory sticks. The back of the UBD-M9500 showing off the units new metal chassis. While a new OLED display, Smart Hub interface and One Remote remote control are the most salient differences between the new UBD-M9500 and the older UBD-K8500, there are a several significant updates under the hood. The chassis is now made of more durable and electron-resistant metal, rather than plastic, and there’s a built-in 802.11ac Wi-Fi adapter where the previous models is only 802.11n. The new model unit can also stream video and audio wirelessly to Samsung phones or tablets via the Samsung Connect app. Oh, and there’s support for 360-degree video—sort of, at least. More on both of those later. On the geekier side, 4:2:2 color is now supported at 60Hz, 2160p, rather than just 24Hz 2160p. The UBD-M9500 adopts the latest Samsung Smart Hub interface, which will add smart features and apps to your TV if it lacks them. That’s highly unlikely on a 4K UHD TV, but you never know. It’s the same interface you’ll find on the company’s latest TVs and is just as clean, simple, and easy to use. My only complaint is that there are no jump-to-the-beginning or -end functions, which sometimes forces more scrolling along the single row of items than is desirable. There are jump buttons on the remote, however, so it’s doable. Regardless, it’s a step up from the nice, but somewhat old-school interface found on the UBD-K8500. 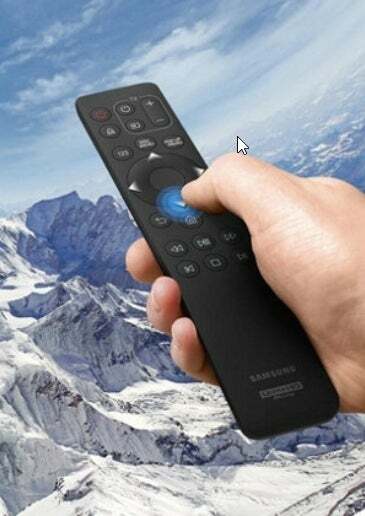 Samsung’s One Remote for the UBD-M9500, in combination with its Smart Hub interface, is a joy in use. The One Remote remote control is also a nice step forward from the one included with the UBD-K8500, which wasn’t bad to begin with. It’s just the essential buttons married to an easy on-screen interface, with functionality divided between them almost perfectly. Sweet. Outside of LG’s magic remote, which controls a free-ranging cursor like those on PC operating systems, the One Remote series are our favorites. Whomever is designing them at, or for Samsung deserves a raise. We tested the UBD-M9500 with a several TVs, including Samsung’s own Q9F QLED, Hisense’s H9D, and TCL’s 55P607. It delivered video via HDMI perfectly with all the disk types (DVD, Blu-ray, Ultra HD Blu-ray, MP3, CD audio, and DVD audio) and file formats it supports (see below). 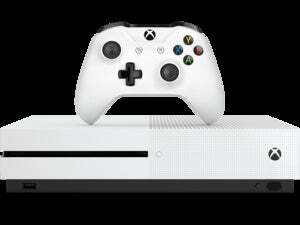 It up- and down-samples 720p,1080p, and 2160p, though the default color palette seems just a bit cooler than what we’ve seen from the Panasonic DMP-UB900, Oppo UDP-205, and the Xbox One S. Regardless, it produces an excellent, smooth picture, and of course, color temperature is a matter of taste. With a concave design reminiscent of a cinema widescreen, the UBD-M9500 is handsome, but not very stackable. The disc tray injects and ejects smoothly and feels solid, and the UBD-M9500 boots and initializes DVD, Blu-ray, and Ultra Blu-ray discs as rapidly as any player I’ve tested. It’s too bad Samsung can’t do anything about those annoying Hollywood legal disclaimers. The player supports all the audio bitstreams you’d expect it would, including Dolby Digital, Dolby Digital Plus, Dolby True HD, DTS, DTS-HD High Resolution Audio, and DTS-HD Master Audio. The maximum audio resolution is 24-bit, 192kHz, but the player does not support SACDs or DFF files as some others do. The UBD-M9500 does, however, handle all the most common audio formats (MP3, WMA, M4A, etc.) as well as APE, Apple, and FLAC. It didn’t play our 5.1- or 7.1-channel surround, or 32-bit/96kHz wave files but it handled all the other frequencies and bit depths fine. Playback via DLNA was fluid as well, with the same formats supported (or not). The UBD-M9500 played the vast majority of video files stored on our USB hard drive, including all the frame rates and flavors of MPEG, h.264, and h.265 that we’re aware of. It even handled more modern versions of QuickTime and some older Real Media files. Oddly, it missed on a couple of older AVI files. 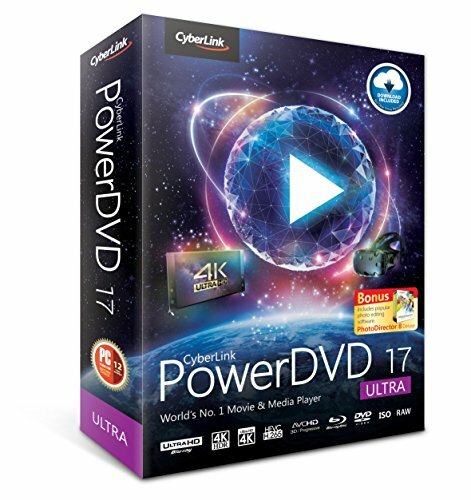 But so does Cyberlink’s PowerDVD, a most worthy PC player. Now, about that 360-degree video support: It’s only for videos produced by Samsung’s own line of VR cameras and converted using a Samsung device. There’s no support for the standard (if you can call Google’s .webm files that) files you download from YouTube, or for those you’ll find at video.360heros.com. That’s a bit of a puzzler. Streaming video and audio to mobile devices is the same proprietary kind of deal, requiring Samsung’s Connect app on a Galaxy smartphone or tablet to function. That’s all well and good for Samsung true believers and evangelists. For the rest of us…. Read the fine print—only certain Samsung devices are supported. 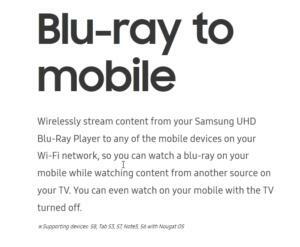 But our biggest complaint about the 360-degree video and wireless media broadcasting is that the features are called out on Samsung’s website in huge bold fonts with tiny hard-to-read caveats buried at the end. It wouldn’t be hard to miss the fine print and buy the player thinking those features were universal in application. Now’s the time in a Samsung A/V review when we do the Dolby Vision stance dance. Just how important Dolby’s HDR format will be in the long run remains to be seen, but Samsung steadfastly refuses to support it, while all the other major vendors do. 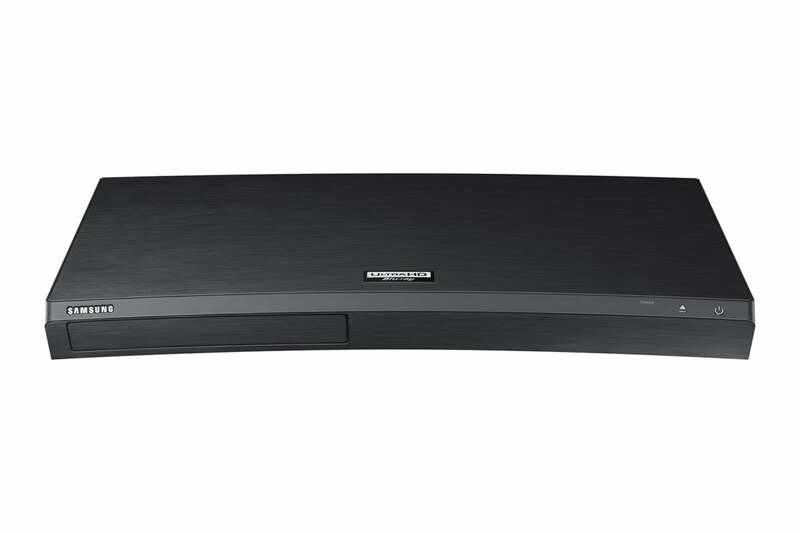 The UBD-M9500 renders HDR-10 wonderfully, but whether it can support the follow-on standard with dynamic metadata (TV adjustment data streamed throughout the movie) is unclear. A little bird mentioned that said this new standard may be backward compatible. We hope so. We rarely mention help or user’s guides, as they’re generally pretty well done these days. And of course there’s always YouTube. 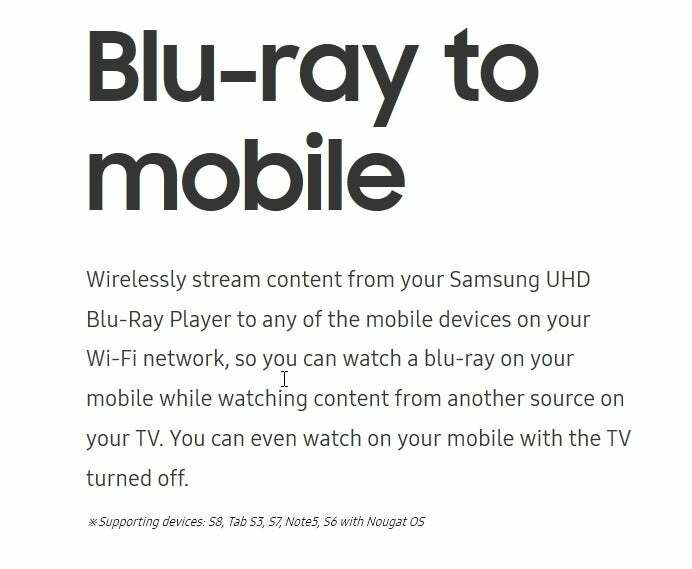 But we found no help in the user’s guide nor any online videos to explain streaming to mobile devices, or playing 360-degree video. Samsung needs to do a much better job of getting their users out of first gear. The UBD-M9500 is a great player. It’s handsome, plays stuff very nicely, and it’s super easy to use. Rated on just its basic abilities, it’s a worthy competitor for anything in its price range. But it doesn’t support Dolby Vision, and if you’re not a card carrying member of Samsung’s proprietary electronic universe, the 360-degree video and media-streaming features are minimally attractive. This is a super-svelte Ultra HD Blu-ray player with a great interface and remote. Playback is excellent with the formats it supports. But we missed SACD playback and the player doesn't support Dolby Vision, which might render it obsolete sooner rather than later.